Conservative Internet activists are the best informed by far, as a group. In the Twitterverse, #MyVoteFactor demonstrates the swell of support that the Speaker is getting (allowing for the organized “Paul-Qaeda,” as at least one of the bound calls them). 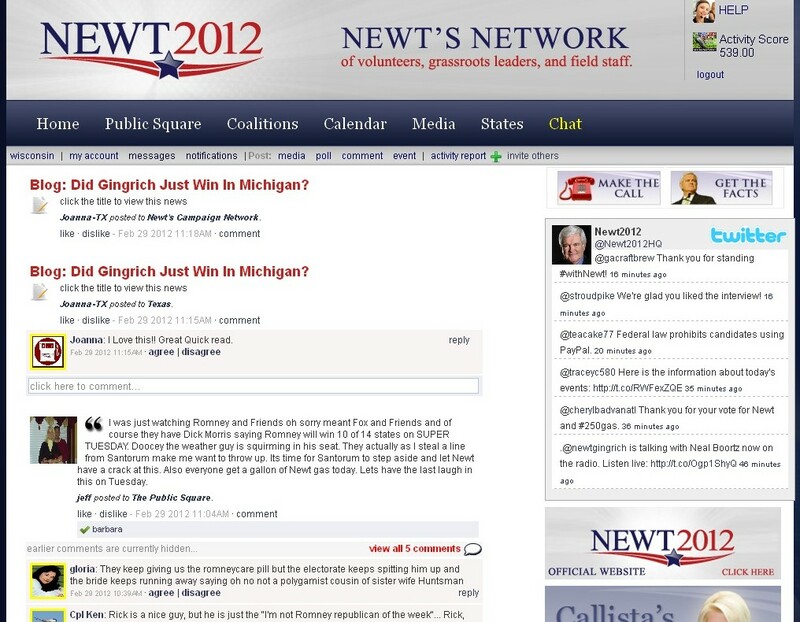 To capitalize on this surge, the Gingrich campaign has opened a social media site for their supporters, NewtsNetwork.com. It remains to be seen how effectively the Newtwork will work – whether by it, Internetters will decide to open their front doors and walk their neighborhoods, or make phone calls in their states and others. In addition to TV ads, that is still the effective work that reaches the bulk of voters and leads to political victories. And has Gulag Bound gone Gingrich? More on that in a bit. For the moment, suffice it to say we gravely need a president who is willing to put himself on the line, to SPEAK OUT for the American sovereignties and who truly commits himself to aggressively guard them. Around the club house turn Mitt leads with Rick pushing Ron for a passing lane. Newt keeps his stride waiting for an opening to make his move. 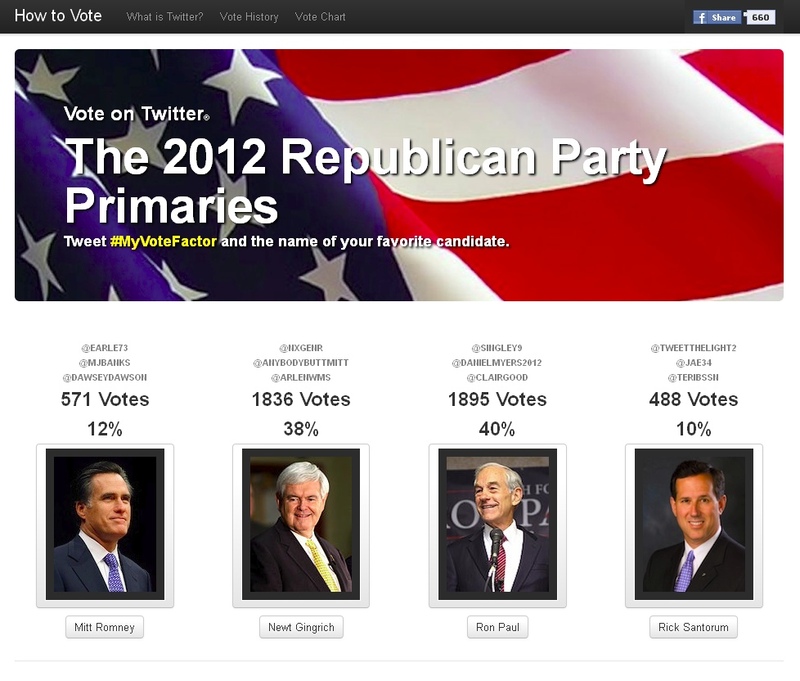 Let’s harness the awesome power of grassroots conservatives for Newt! He is the ONLY one who can defeat Romney and then Obama. Newts Network is an awesome tool to make it happen! NEWT 2012! I’ve heard that joining NewtsNetwork.com raises one’s IQ by 5 points, is that true? Some top donators to Romney AND Obama. Goldmann-Sachs: top donator Romney and Obama. JP Morgan Chase: Number 2 donator Romney and Obama. Citigroup: 3rd for Obama, 5th for Romney. UBS: Fourth for Obama, 14th for Romney. B of A: 5th for Obama, 6th for Romney. Morgan-Stanley: 3rd for Romney, 19th for Obama. “There is no real difference between Romney and Obama”. Damn! all this is already on the right side of this page. Here I thought I was all brilliant an stuff.